I sell brake controllers, so please, if you need one click here! 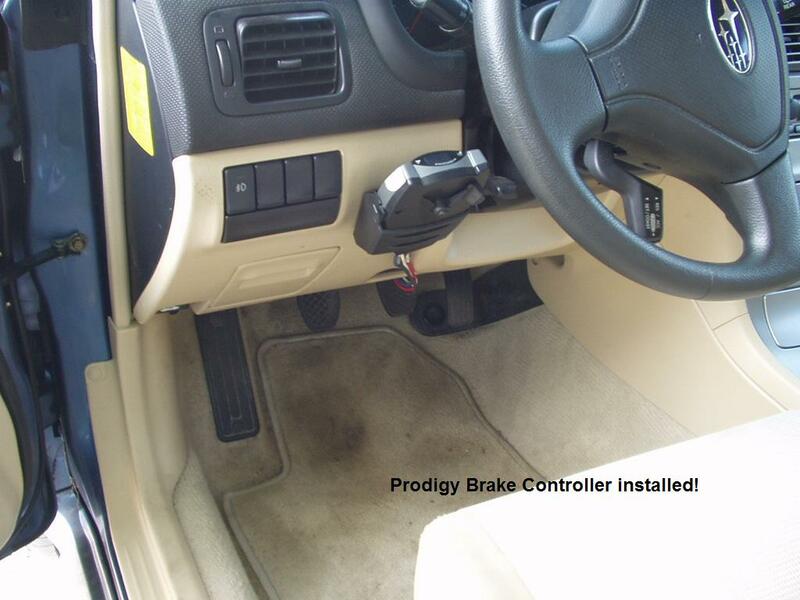 We keep Prodigy P2 Brake Controllers in Stock Regularly! 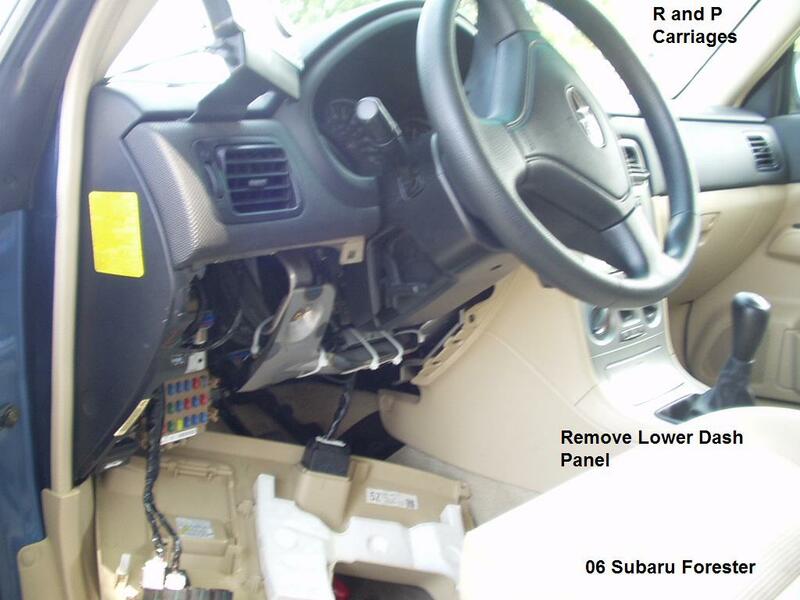 Above is a typical Electric Trailer Brake Controller that we installed in a 2006 Subaru Forester Wagon. This car did not have a tow package. 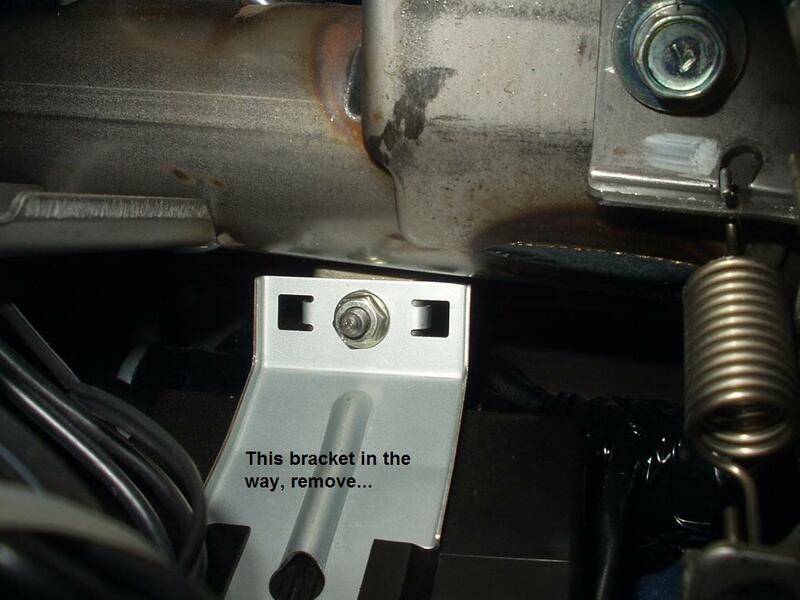 All trailer lights were connected with a standard trailer light plug kit available from us or any online trailer supply. Really just a simple plug and play affair for the lights, at the back of the car. 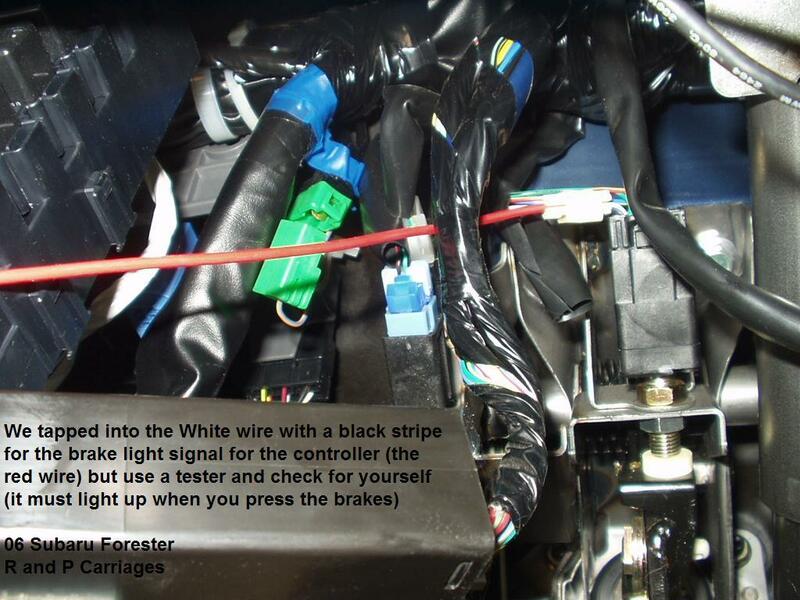 This page is to show what no-one else will- how we install a brake controller in the car. This is for information only, and is used at your own risk. 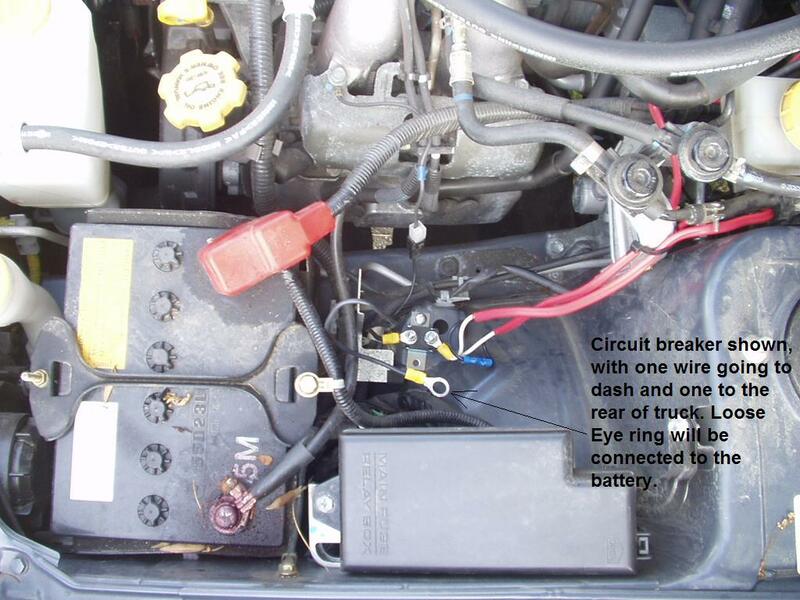 The normal brake controller will need a 12 volt power supply, ground, and signal from the brake light switch. 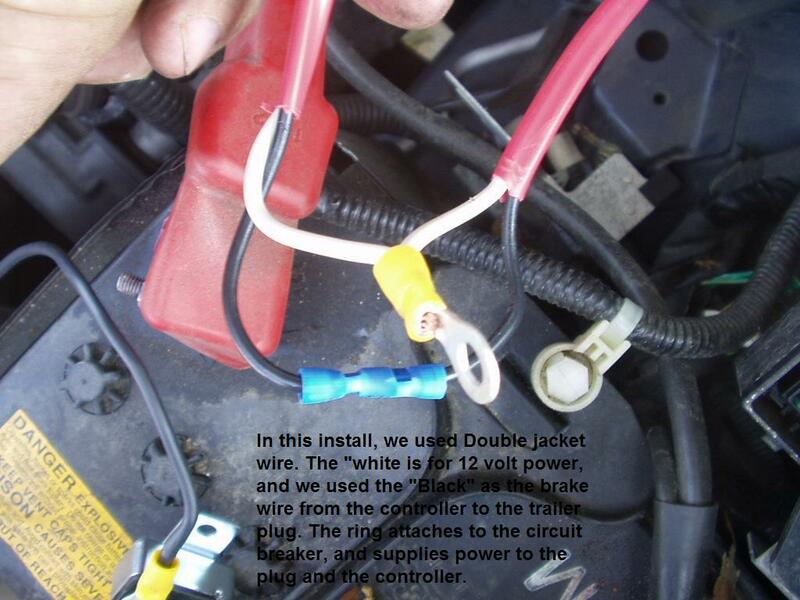 We normally use two conductor wire, and use one wire for the brake and one for the 12 volt power. We will run the 2 wire from the back, up to the front under the hood, then drill a hole in the firewall, and run it under the dash to the brake controller. 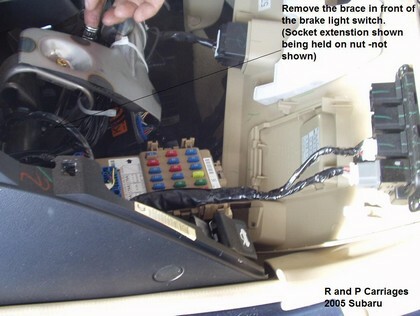 Then we will strip back one of the 2 wires, and connect it to the 12 volt circuit breaker for a power supply. Doing this then supplies power to the controller and a 12 volt power source at the back of the car (this is optional). 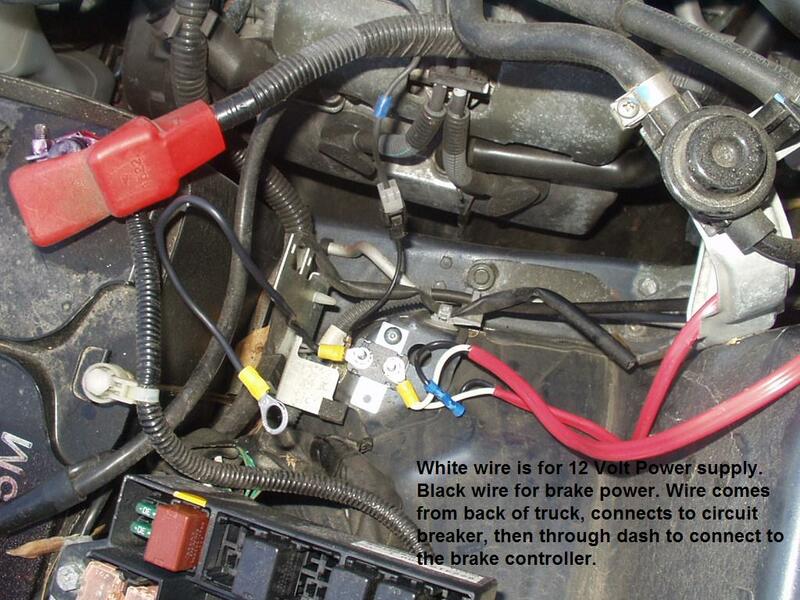 The wire, in the 2 wire cord simply runs from the dash to the back, to operate the brakes.